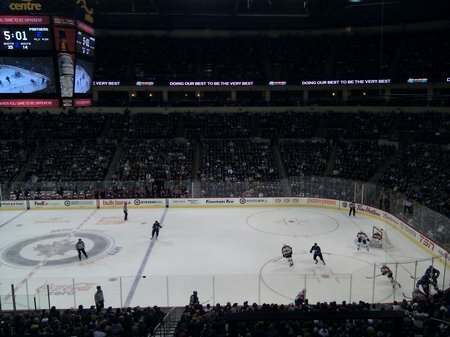 We were at the Jets game last night, where they lost in over-time to the Florida Panthers. This is the first Jets game I’ve been to since the new Jets came to Winnipeg. Below is a phone camera view from the box seats.